As is evident from the above image, old furniture items, which we often consider as useless, have a charm of their own; however, you need to be creative to bring that ‘charm’ to the fore. 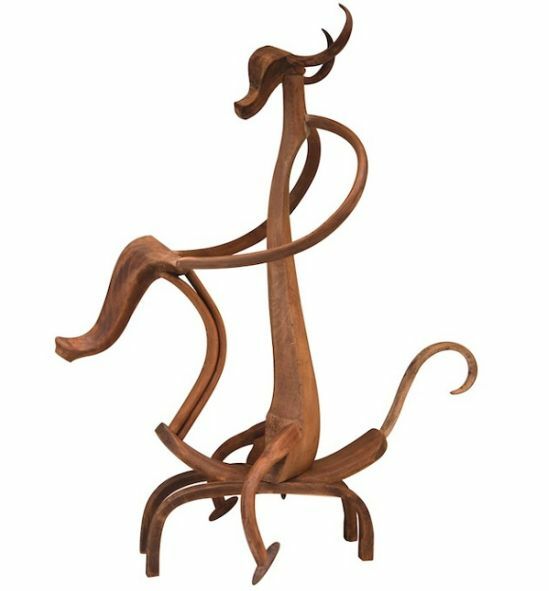 Since all of us are not that gifted, what we can do is admire the originality of Marc Sparfel who has breathed a new lease of life into old furniture items. 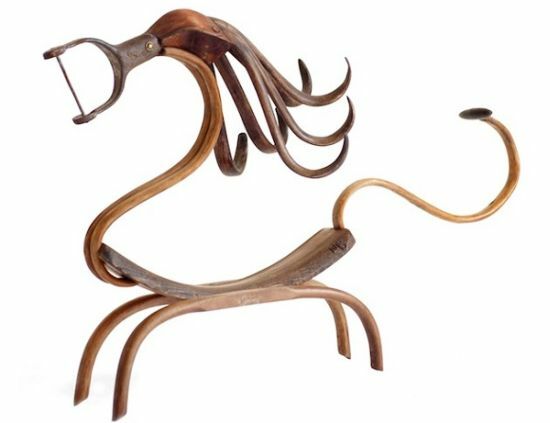 Dubbed as Wood Animals, the sculptures endow decaying pieces of furniture with a newer, more appealing look. 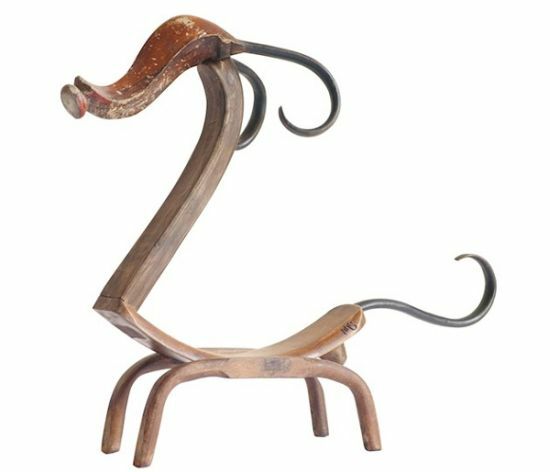 Marc Sparfel’s collection includes several wooden animals, such as the Masque Elephant, Warrior I (Guerrier I), Petite Antilope, Oiseau Senufo II, La Girafe and the Petit Lion. 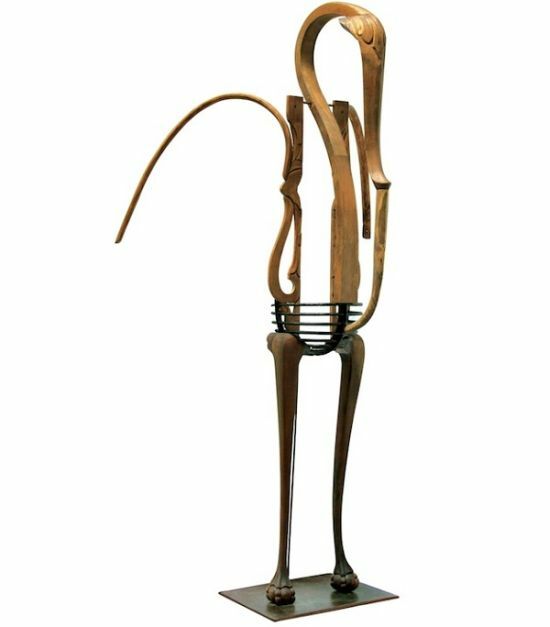 First sculpture, i.e. 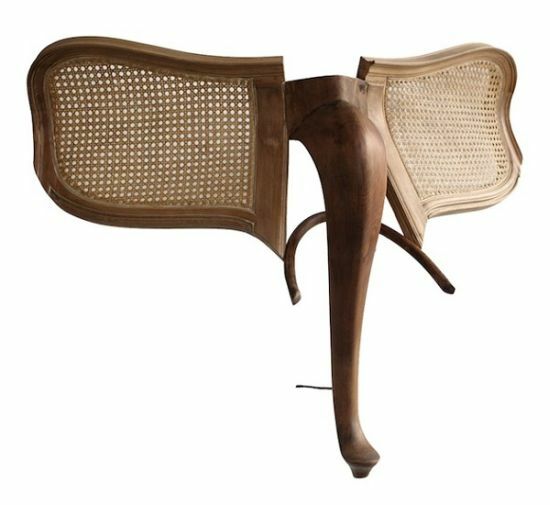 Masque Elephant, has two back chairs and another piece of wood. Next, we have the Warrior I followed by the Petite Antelope. 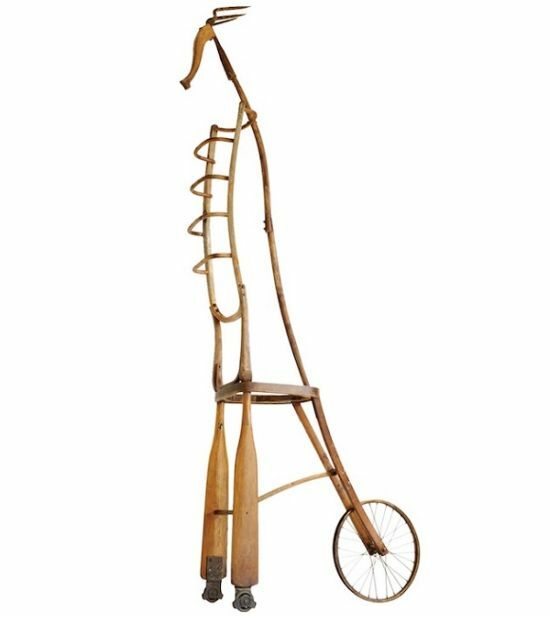 The giraffe-shaped La Girafe sculpture also has a wheel which makes it semi-portable, so you can take it anywhere you feel like. 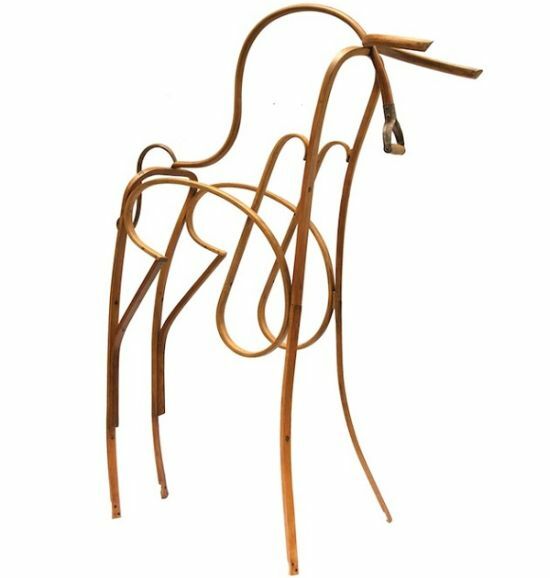 We reckon all sculptures to be none less than spectacular, especially if we consider the green intent and creativity that has gone into their making.